I highly recommend listening to this lecture. He makes some interesting points. I thought the point about Fashion was especially interesting, it’s a whole industry that exists without patents or copyrights, yet is extremely vibrant and successful. To my mind, cooking would also be an example of an industry where copyright is pretty much non-existent, and yet the cooking industry flourishes quite nicely. I didn’t know the Wright Brothers were patent trolls who severely retarded the US aircraft industry to the point where the US had to buy planes from other countries for years. This makes me think of the story Melancholy Elephants by Spider Robinson, which is also about the dangers of copyrights and patents to society. You can read it here on his website. Well, to say I was hooked and enthralled would be an understatement. Suddenly “epic” fantasy stories like Lord of the Rings seems so…small. Events like the story of LoTR happen in single chapters of Three Kingdoms, and then the next chapter will prove to be even more epic! People often focus on the “human” side of Three Kingdoms, giving focus to Liu Bei and his trusty band of heros, but the truth is the work is a historical chronicle more than it is about any single person within it. Many people (I should call them people, since most of them were real people) come and go within the story, but the epic tale and it’s focus is so much farther reaching than a single person. When I discussed this work of literature with my friends, I quickly discovered that most of them were already very familiar with Three Kingdoms- in a fashion. Not being a major video-game player, I hadn’t paid much attention of Koei’s line of Three Kingdoms video games– but my friends sure had! They knew most of the major characters by heart, but ironically enough, they didn’t actually know the stories that were connected with them. That was something I set out to rectify, but getting people to read a 3000+ page book is hard at the best of times, and in the end I think I only managed to get 2 or 3 of them to read it. So, I’ve always been looking for different ways to get others hooked on Three Kingdoms, and luckily time has made this progressively easier. Last year the amazing movie Red Cliff was released, which is over 4 hours long (in uncut form, and I wish it was longer!) and is still only a tiny piece of the book! Sorry I could only find the crappy English version of the trailer, which tries to make it look like a typical period action film (“a small band of heroes fights against an evil warlord” is like trying to describe D-Day as a “a plucky band of Americans faces down against an evil Nazi war machine” :-P) but it will give you at least some idea of the visuals involved. I was lucky enough to see Part 1 of this in the theatre (it was released as two, 2-hour+ movies in Asia) and wish I’d been able to see Part 2 this way as well! So, if you want to learn about Three Kingdoms in a “quick” way, I highly recommend the film (uncut, subtitled) as a way to do it. However, that is still only a piece of the story, so what about if you want more, but aren’t into reading long books? Well, I’ve got you covered, after a fashion, although be aware none of these covers the complete story…. 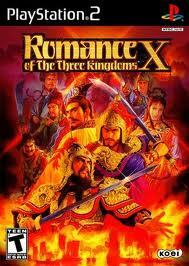 There was an animated Three Kingdoms series released in Japan a few years ago. I’ve only watched a bit of it, but it seems okay. 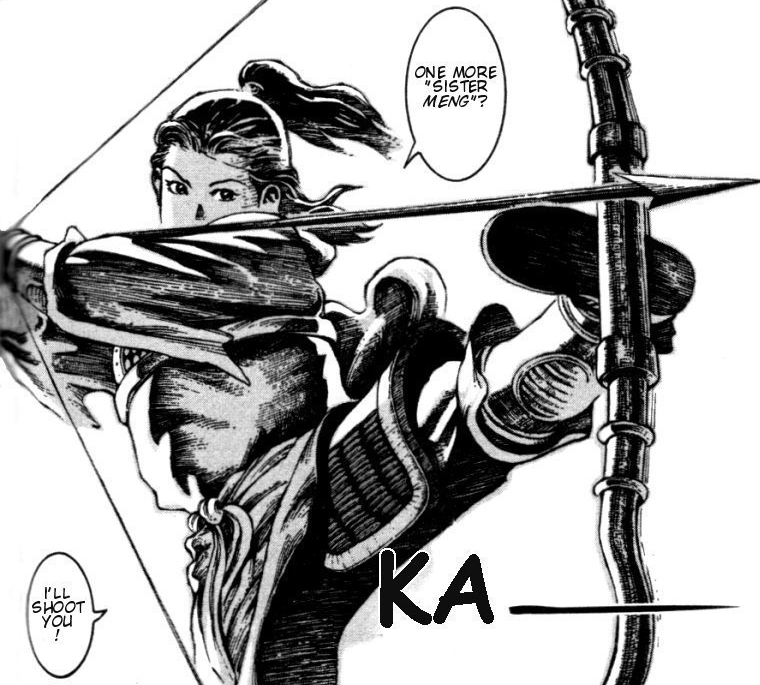 It’s pretty much tightly focused on Liu Bei and his comrades without the broader scope, and most of the violence is censored, but if you like anime this might be your thing. Then there’s the manga versions for people who want something quick to read over the lunch breaks in small parts. Both of which diverge quite a bit from the original text in different ways, and have radically different styles, but are quite well done and will still give you the main ideas of the story. 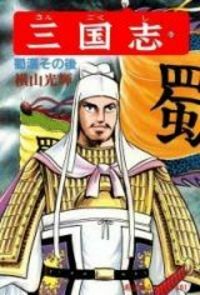 The (much) older manga, SanGoKuShi (the Japanese name for Three Kingdoms) is done in a very Tezuka-like style, and changes the opening somewhat, but is very readable and actually gives background material not found in the original text! It’s been fan-translated by HOX, and you can find it here. The other manga version is much more recent (it’s still running, and unfinished) and is done in a much more modern storytelling style. It diverges wildly in it’s interpretation, being more focussed on the side characters of the original epic and adding a bunch of new ones, but the story is compelling, and the art style is gorgeous. I highly recommend anyone interested in history or just plain action storytelling to give it a read! I pray weekly for a proper English release of this one in book stores, but until then I thank profusely the amazing fan-translators who work to let us read it! And while you’re there, be sure to check out the article on White Balance. For those few who aren’t familiar with it, the Sonic Society out of CKDU in Halifax, Nova Scotia acts as a showcase for the best in modern audio drama. Each week Jack Ward and Shannon Hilchie show us how the Audio Drama form is not only still very much alive, but thriving in the internet age. They’ve been doing it for many years now, and each summer when CKDU is on hiatus they do a special internet-only program. This Summer, Jack came up with the idea of inviting existing modern groups to do re-creations of some of our favorite OTR (Old Time Radio) shows from the classic age using our regular actors. In my case, I found a script online for an episode of the Sherlock Holmes OTR show that aired from 1939-1947, and being a Holmes fan I decided to produce it. These were “original” stories, as they ran out of classic Holmes stories pretty quickly, so it’s one I figured that most people had likely never heard. After a quick (and quiet, since this was a “secret” project) session of casting I put the show together and it hit the web today. Enjoy! Hayao Miyazaki lays down the law! I’m sure there are many people who want to become omnipotent by getting their hands on this iWhatever. I’ll tell you sir, there were once a bunch of people who wore radio cassette players (those bulky things) wherever they went in the sixties. They wore it like a priceless emblem. They’re mostly probably living off of pension funds now, but you and them are the same. You jump at the newest gadgets, and all you do is relish the pride in owning one as some consumer. You must not becomes a consumer. You must become someone that creates. You can read more of this interview here, but I should warn you the site is kinda NSFW, I couldn’t find another site hosting a translation unfortunately. Everyone has their idea of a romantic way to travel, and for me it’s always been the train. I guess it’s the feeling of both nostalgia and comfort I get from riding them, but to me they represent the classiest way to travel across the land. Now, if only I was riding in one of these Art Deco babies, it really would be the classiest! Go check out the site for Bouletcorp, and while you’re there both play with the nifty site and check out his webcomics besides the parody I linked to. Some things are a universal language. What happened while Americans slept. As a global traveler myself, I’ve always found it somewhere between amusing and annoying how mired in the 1960’s the North American view of the rest of the planet is. The images of the world I saw and the whole concept of the rest of the planet I grew up with, is pretty much a leftover from the 1960’s- developed world (us) vs non-developed world (everyone but Europe and Japan). We live in houses and have electronics, they live in stone and grass buildings and have our castoffs. We have small families, they have big families. We work in offices, they work on farms and sell in marketplaces. Etc. Etc.